Libby Jenke is a doctoral candidate in Political Science at Duke University as well as a member of Scott Huettel’s neuroscience laboratory. 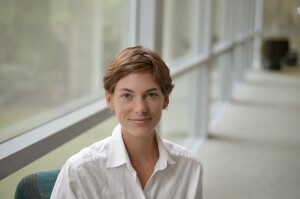 Her current research is focused on two areas. First, Libby studies political preferences and choices. Her work examines how voters employ heterogeneous models when choosing a candidate. Second, Libby has multiple projects on the role of identity in decision making that expand our conception of identity past simply party identification. In particular, her most recent work examines how identity competes with policy in explaining candidate choice. To investigate these questions, she employs diverse methods including applied statistics, behavioral experiments, and eye-tracking processes. View Libby’s personal page here.